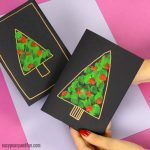 Still looking for your simple DIY Christmas card of the season? 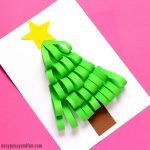 You’ll love our paper circle homemade Christmas card idea! 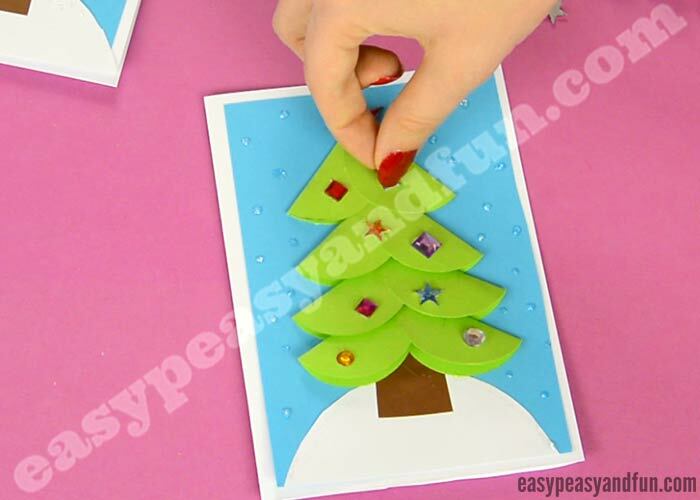 We love making Christmas cards with a festive tree, just check our adorable little fingerprint tree Christmas card, and simple is our moto. 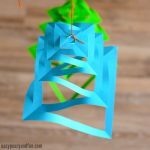 This fun little project is great for young kids, as punching circles is always fun, and for older ones – for grown ups I do recommend you fancy it up with using various scrapbook paper. I think patterns really add something special to Christmas cards. 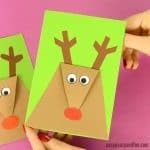 This simple little cards is perfect to make in the classroom, as a card kids make for their parents or friends and family. Ready to make one of your own? It’s easy peasy! 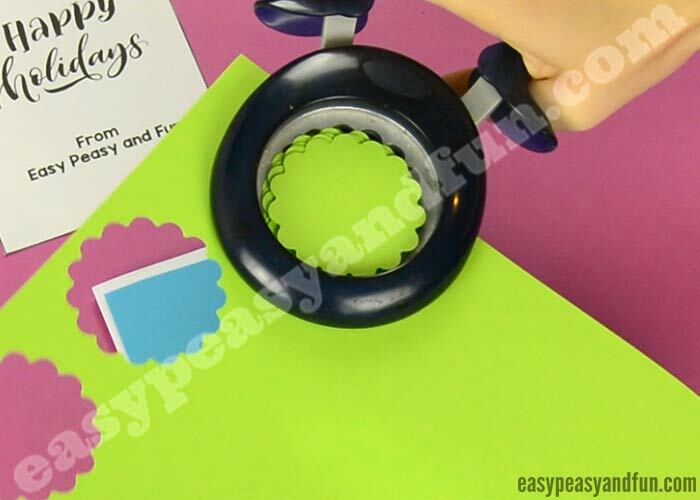 If you are making the card bases yourself as we are, I recommend cutting a sheet of A4 or letter sized paper in half. 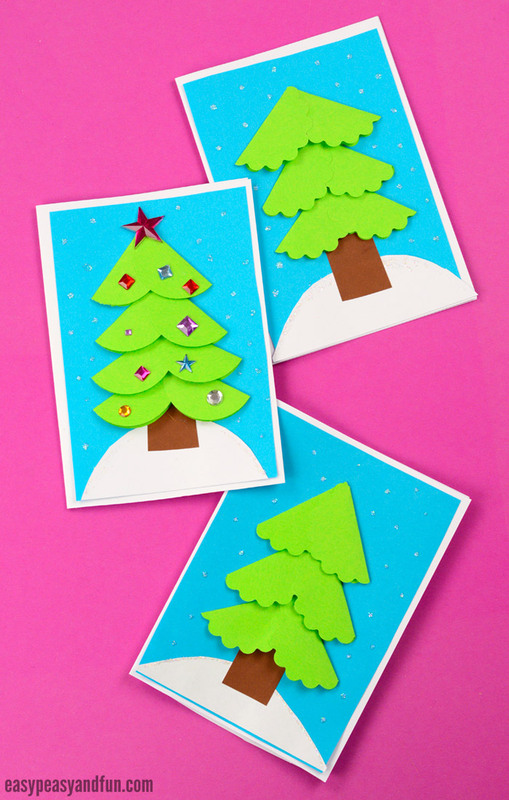 Fold and score the “half paper” to get one small card. 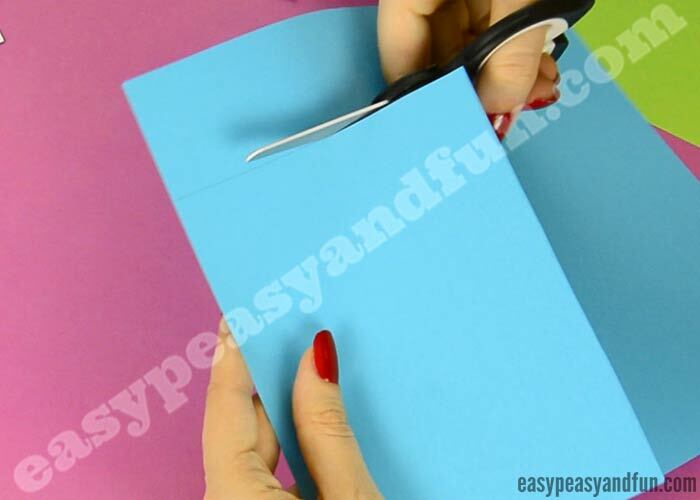 Place your card base on top of blue paper and trace around it. Cut out the blue rectangle. Trim it a little, to make it a bit smaller than the card base. 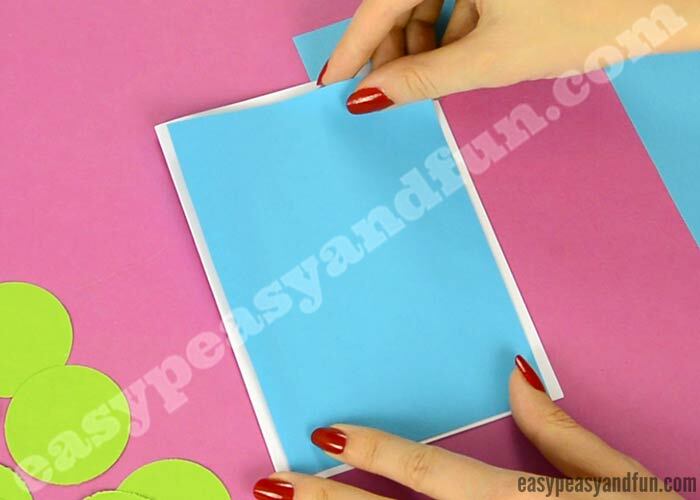 Glue the blue rectangle on the card base. 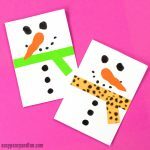 Draw and cut a snowy hill shape out of white paper. 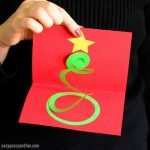 Glue it on the bottom of the card. Cut a small brown rectangle for the trunk and glue it on top of the hill. Punch circles our of green paper. We made 6. Fold the circles in half. Glue two halves together – slip one into another, making a L shape. And glue on the card. Start at the top of the card. When you glue the second pair of folded circles, slip them into the first one a little. 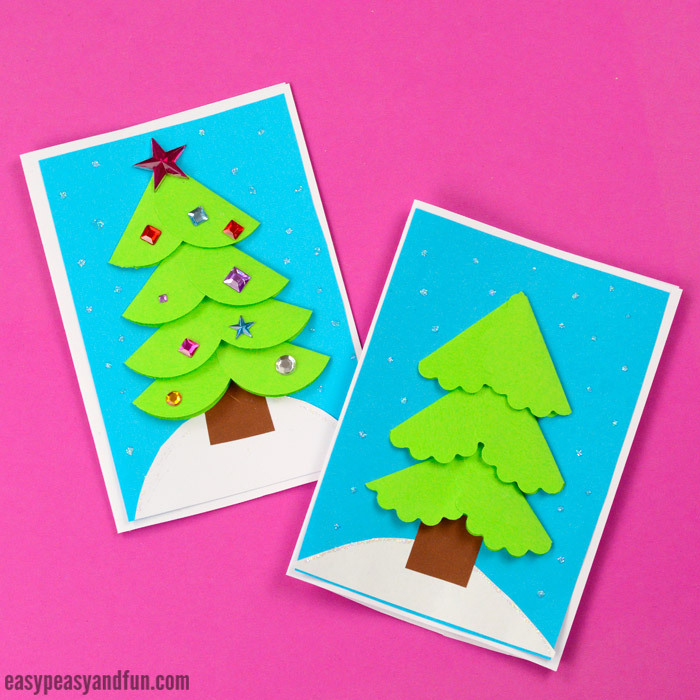 Decorate with glitter glue to make snowflakes. And add gemstones for a more festive version.